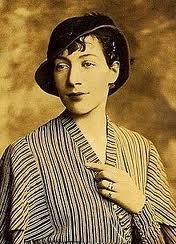 The multi-talented Doris Langley Moore was one of the first important female fashion historians. In 1963, she founded the Fashion Museum in Bath, England (then known as the Museum of Costume) by giving it her own collection. She also was a well-respected Byron scholar, and wrote biographies of Byron's daughter Ada Lovelace and of children's author E. (Edith) Nesbit, among others. Ms. Langley Moore also created the scenario for a 1943 ballet called The Quest, based on Edmund Spenser's The Faerie Queene, which was choreographed by Frederick Ashton for the Sadler's Wells Ballet. Doris Langley Moore is currently considered a "single author." If one or more works are by a distinct, homonymous authors, go ahead and split the author. Doris Langley Moore is composed of 6 names. You can examine and separate out names.